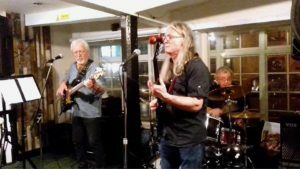 Snakey Buckle is a very experienced three-piece band consisting of Allan Horton guitar/vocals, Andy C Gibbon bass guitar/vocals & Barry Turner drums/vocals. The band perform rock/blues/soul and much more. 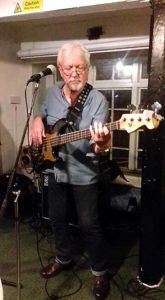 Being made up of local musicians, Snakey Buckle has previously played at the Festival and have always enjoyed the great atmosphere. Having worked at Llanwern steelworks Allan explained that “Snakey Buckle” is a defect in strip steel – its snakey and buckled. So now we know……!! !